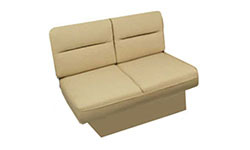 All of our Custom Built Promaster Furniture is made to order and your requirements. New design matching the seat sew package. Heavy duty tubular promaster furniture frame construction. 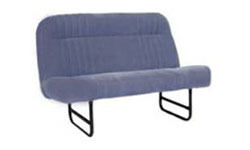 Standard width 52". Custom widths available. 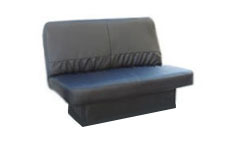 All materials meet or exceed FMVSS #302 safety standards for Promaster seats . 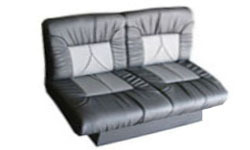 Three year manufacturers limited warranty on Promaster furniture frame construction. 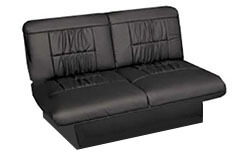 The best price an quality combination available in Promaster accessories, Promaster furniture, Promaster captains chairs, Promaster seats, Promaster sofa bed, Promaster Sofa Bed, Promaster home style furniture, Promaster custom seats, leather Promaster seats , Promaster sofas, discount Promaster furniture. 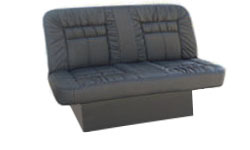 With our discount pricing on Promaster furniture you will not need to be satisfied with used or surplus Promaster furniture.